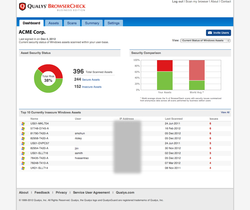 Qualys today announced that Qualys® BrowserCheck Business Edition, the company’s free cloud service, now enables IT administrators to automatically track whether users&apos; computers are up-to-date and safe for surfing the Web. This "online checkup" relieves organizations from having to manually chase the constantly-shifting landscape of patches and updates, and comes just in time for the holidays when people can often visit unfamiliar websites at home and at work. BrowserCheck continuously monitors which browsers, plugins, OS settings and security software are on each PC and whether newer versions have been released by vendors. "Protecting against Internet attacks depends upon knowing whether your computers are up-to-date – and staying that way," said Paul Simmonds, co-founder of the Jericho Forum and former CISO of AstraZeneca and ICI. 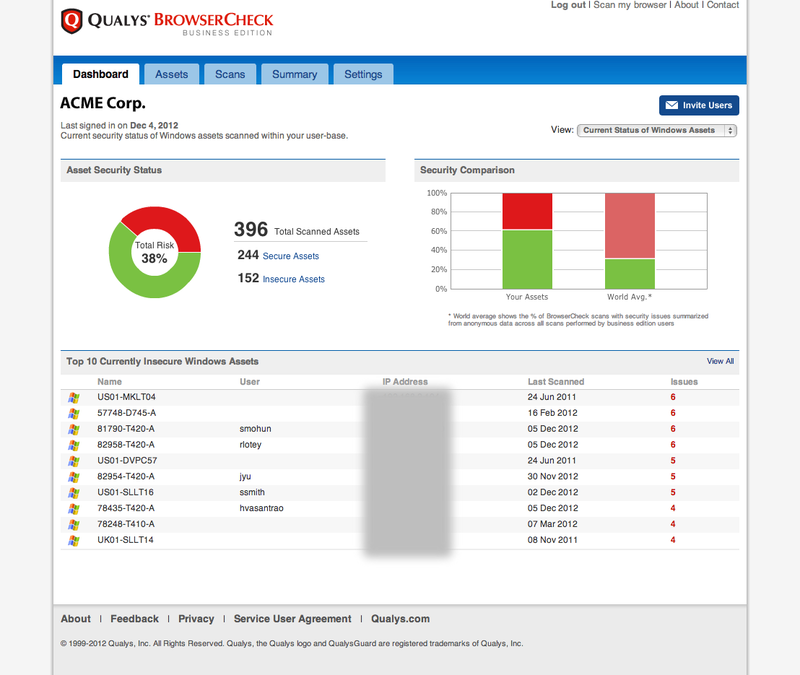 "Qualys BrowserCheck is a great free tool that enables you to do just that, and the Business Edition allows organizations to see the current status of all their computers with minimal effort. I applaud Qualys for providing such a valuable utility as a free service."